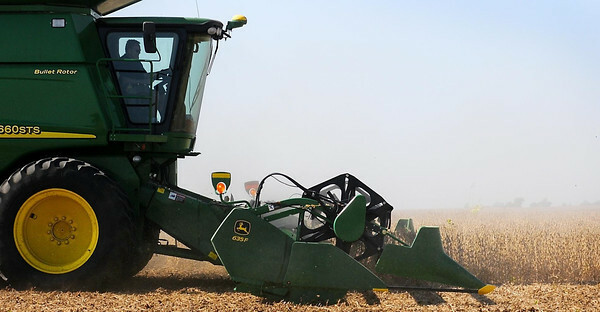 Keith Wenner of K & K Farms guides his combine through a soybean field west of St. Peter. Area farmers are just now ramping up for the fall harvest. Last year at this time, after and early planting season, many farmers were nearly done with fall field work.